A Surgeon Confesses To Error And Hopes It's A Lesson Learned : Shots - Health News An orthopedic surgeon explains how he mistakenly performed an operation to treat carpal tunnel pain on a 65-year-old woman instead of a procedure to unstick the ring finger on her left hand. Many small problems contributed to the mistake. Among the things that can go haywire in the operating room, surgery performed on the wrong part of the body is one of the worst. Accidents still happen despite a push to bring the hard-won lessons of airline safety, including checklists and mandatory timeouts before a surgeon draws a scalpel across a patient's skin. The first step on the path to improvement is for doctors and nurses to concede their fallibility. That's a tall order, especially in the macho culture still prevalent in surgery departments. So a Boston hand surgeon's very public admission of error in the pages of the latest New England Journal of Medicine is drawing a lot of attention and praise. Massachusetts General Hospital's Dr. David Ring explains how he mistakenly performed an operation to treat carpal tunnel pain on a 65-year-old woman instead of a procedure to unstick the ring finger on her left hand. Lots of little things went wrong before the big mistake happened. There was a last-minute switch of operating rooms, a particularly hectic surgery schedule and snafus with standard safety protocols just as the operation was set to start. He realized his error about 15 minutes after the operation was over. 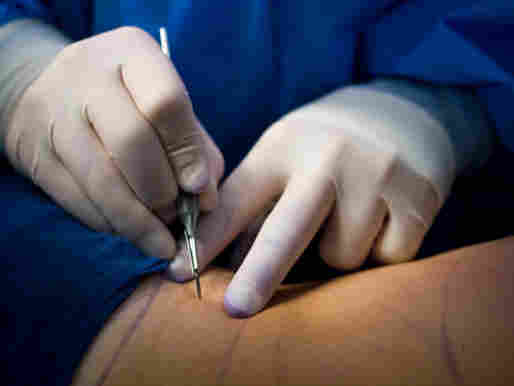 He apologized to the patient and offered to perform the correct procedure, if she was willing. She agreed. The second operation went without a hitch. Later, she declined to have Ring involved in her follow-up care because she'd lost faith in him, her son told the doctor. I hope that none of you ever have to go through what my patient and I went through. I no longer see these protocols as a burden. That is the lesson. How's the confession going over? Ring told the Boston Globe in an e-mail, the feedback has been "incredibly positive, which of course means a great deal to me, considering how devastating this was for me and my patient." Dr. Peter Pronovost, a safety pioneer at Johns Hopkins, told MSNBC the public details of Ring's experience will help others do better. "It’s only by understanding this richness that we will be able to defend against this," he said. "He should really be applauded for his courage."